As my desire to sleep on the ground lessens, my two daughters' enthusiasm for staying outside all day and all night is growing. Last summer, we hit on a glorious compromise: pitching a tent for one night at a nearby campground. This diminishes another of my handicaps: I don’t plan trips eight months out, usually a must in our camping-happy corner of the world. 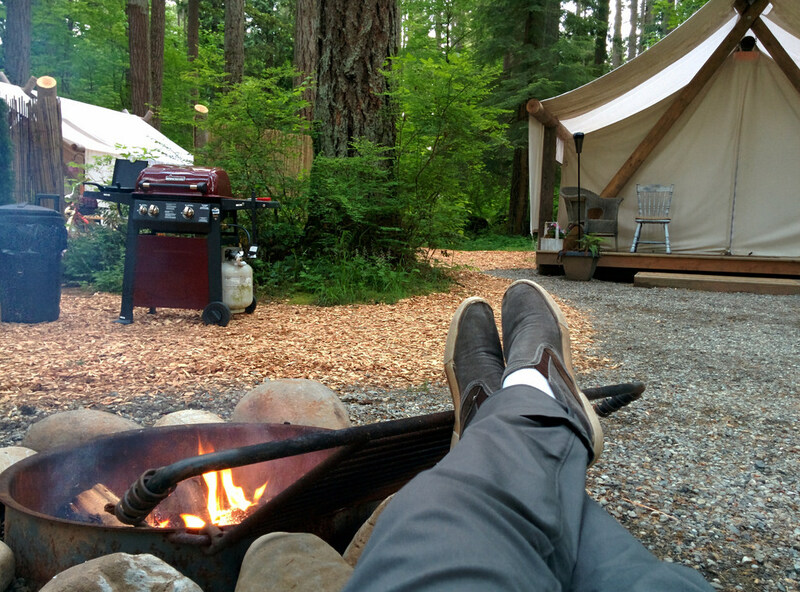 There’s a good chance you can book a campground or a cabin at this South Thurston resort. The small and beautiful Offut Lake has a five-mph speed limit, so your children won’t be bothered by boat wakes. At the resort, enjoy swimming, fishing and boating. Nearby, visit Wolf Haven, Lattin's Cider Mill & Farm, a favorite South Sound farm that has a petting zoo, delicious doughnuts, and no entrance fee, or our capital city, Olympia (terrific farmers market, top-notch children's museum, and more). Don’t want to cook over the campfire? The resort’s restaurant offers pub food as well as a few fancier entree options. Reservations/info: Call 360-264-2438 to book. 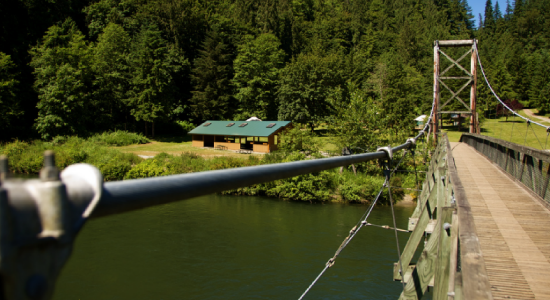 The 500-foot suspension bridge over the rushing Tolt River leads to this county park that almost always has camping spots available mid-week. You will feel like you are in the country even though the campground is inside Carnation’s city limits. Highlights include bike trails, a playground and a nice riverfront area to play. Elevate your sleeping bag by booking one of six yurts, which boast heat and electricity. Reservations/info: More than a week out? Call 206-477-6149 for camping reservations. Truly last minute? Use the self-pay system at the kiosk just before the RV loop. This fairly new campground almost always has spots available, and access to several worthy hikes, including the Middle Fork trail, the CCC Trail (Civilian Conservation Corp, which built trails in the 1930s and '40s), and the Otter Falls-Taylor River Trail, which is walking distance from the campground. Bring your mountain bike if you prefer to peddle these trails (the Middle Fork is open for bikes on odd-numbered days between June 1 and October 31, while the other trails are always open to bikers). Nearby adventures include Goldmyer Hot Springs, about a 4-mile drive away and a 4.5-mile hike in (make advance reservations to visit). These hot springs are run by a private organization and it is a good idea to book your visit here about at least two weeks in advance. Also know that the Middle Fork River is lovely but it often runs high and fast: don’t let your children swim or wade in these waters. Reservations/info: Book via the website, or call 541-338-7869. Reservations must be made four days ahead of arrival. Note: As of April 13 the Middle Fork trail is closed due to landslide activity. Check website for updates. If you give yourself a week lead time, you should have luck booking a spot at this lakeside campground. Millersylvania is a mere five miles off I-5, but the surrounding forest will make you forget this fact. There are tent sites in the shade and in the sun and they are all near Deep Lake. Take a dip at both of the swimming beaches and hike or bike along 8.5 miles of flat trails. (And if you want or need a real distraction, Great Wolf Lodge is roughly 10 miles away in Grand Mound.) Millersylvania also has two luxury camping cabins, called Pampered Wilderness. Most are geared towards couples but the Country Cabin has two full size beds. Reservations/info: Book online, or call 888-226-7688. Water play is the name of the day at Alder Lake: Boat, swim, water-ski (bring your own boat), jet ski, play at the playgrounds, visit Alder Dam, and watch the deer roam the park. There are also two no-wake areas and two small non-motorized areas. Nearby, you can hike or bike at the University of Washington Pack Forest, visit Northwest Trek Wildlife Park just north of Eatonville, stop by the skate park and playground at Eatonville’s Millpond Park, ride horses at E-Z Times in Elbe or drive 30 miles to Mount Rainier National Park. During the peak summer season, there might be a dozen sites available on weekdays for one-night “walk-in” stays, but the only way to secure a site is with a reservation. Reservations/info: Book individual sites online at or call 888-226-7688. 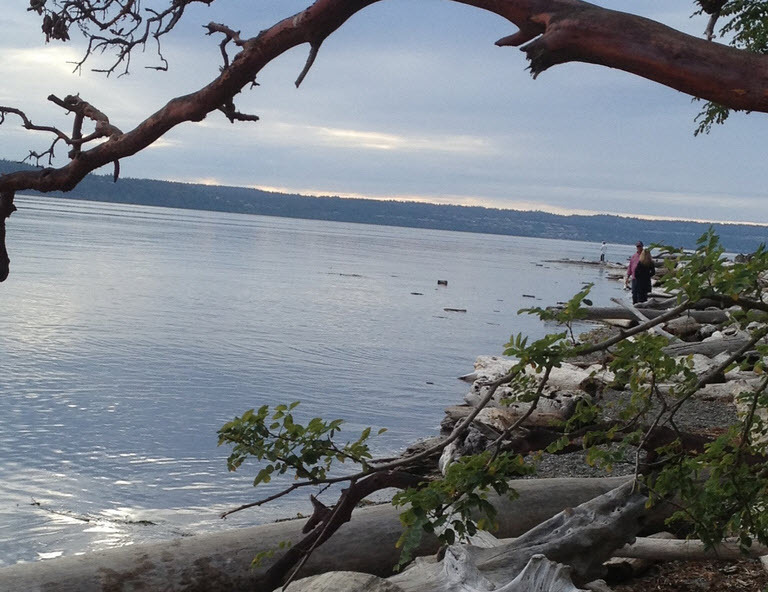 It’s not always possible to grab a last-minute spot at this popular South Sound park, which contains 3,301 feet of saltwater shoreline, but its close Federal Way locale makes it worth a try. The campground has 141 campsites (including a group site that fits up to 96 people), five cabins and an extensive hiking trail system with plenty of mountain biking trails. If you can’t book a campsite, make a beach day of it and pack a picnic. Nearby, don’t miss West Hylebos Wetlands Park, a Federal Way city park with a boardwalk through wetlands and old pioneer cabins. Reservations/info: Book via the website or call 888-226-7688. Call a week or two in advance and you might snag a campsite at Denny Creek, a spot off I-90 that always feels cool thanks to the lovely tree cover. This campground also has a few sites that are always first-come, first-serve spots, meaning you can drive up the day off with no reservations and have a chance at pitching your tent. Bring your fishing pools and your hiking boots. 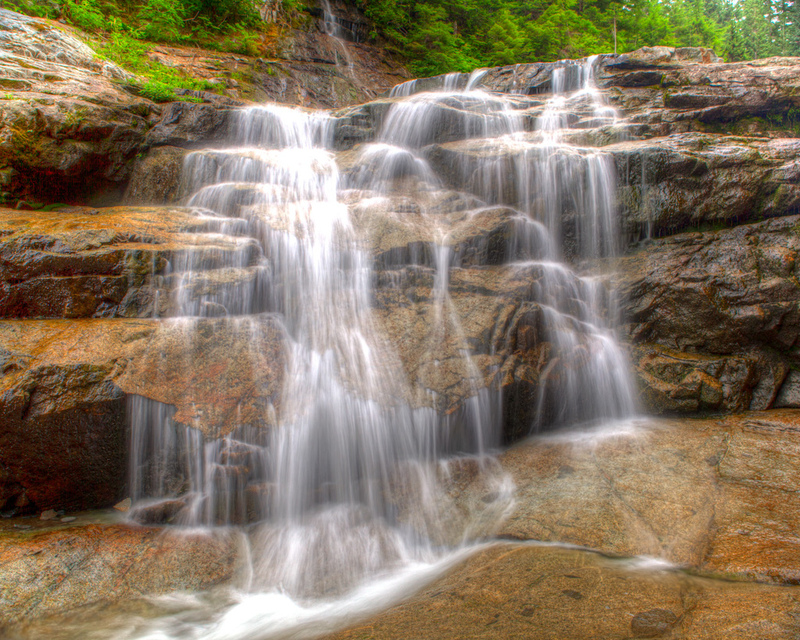 The Denny Creek trail is an easy one-mile long trail that ends in waterfalls, a popular play area known as the Denny Creek waterslides. Note: Crossing can be dangerous in spring when water is running high. Ready for a longer trek? The 7.2 mile loop around Snow Lake is one of Washington State’s most popular hikes. Reservations/info: Book via the website or call 541-338-7869. On the gorgeous Green River, Kanaskat-Palmer State Park offers fishing, swimming, white water rafting and miles of hiking trails. It’s not impossible to book a last-minute camping spot here, but during our state’s warmer months, it is definitely more difficult. Call a week or two ahead and try your luck, advises a park ranger. During your stay, visit Nolte State Park — a day-use park four miles away – and walk a lovely 1.5-mile trail around Deep Lake. Reservations/info: Book via the website, or call 888-226-7688. Although this Snohomish County park on Puget Sound is deservedly popular, it’s worth trying for a week-ahead reservation. All of the campsites are tucked in a wooded area that is a hike up from the shoreline, making for a classic Northwest camping experience. The beach has just under a mile of waterfront, with a dock that sees plenty of fishing and crab-pot action. Watch for eagles and the occasional grey whale sighting. Nearby, golf at Kayak Point Golf Course, visit Tulalip Casino, and shop at Seattle Premium Outlets and Cabela’s. Or go for a swim in fresh water at Lake Goodwin at Wenberg County Park, which also has campsites, just six miles away. Note: Alcoholic beverages are not allowed in county parks. Reservations/info: Book via the website or call 360-652-7992 (additional $2 call center fee applies). Yurts/cabins: Kayak Point also has 10 yurts available (with decks, heaters, skylights and more), and the three-bedroom, Craftsman-style Kayak Kottage. Flowing Lake is a busy campground — even mid-week might be tough to find a spot in the summer — but even when it's full, you'll find plenty of elbow room and a well-shaded, forest setting. And don’t forget your fishing pole: Flowing Lake is stocked with rainbow trout. The lake is great for swimming, but on warm summer days there is a fair amount of boat traffic here, too. Nearby, check for events at the Evergreen State Fairgrounds in Monroe, and golfers can play a round at Flowing Lake Golf Course. For a serene winter getaway, reserve a cabin here. Note: Alcoholic beverages are not allowed in county parks. Reservations/info: Book online or call 425-388-3411. Cabins: Flowing Lake also has four cozy cabins on site. Birch Bay is a popular campground just under two hours north of Seattle, close to the border, with no ferry crossing necessary. While you probably won’t be able to snag a coveted bluff spot last minute, the forested sites in loop A are often larger and everyone gets to enjoy the fabulous beach. Bonus: Pack small bills for the ice cream truck that loops through the campground each day. Or head into the tiny town and visit the C Shop for treats and be sure to wade in the incredibly warm and shallow water in the bay. Tired of communing with nature? Head to the Birch Bay Waterslides for some man-made adventure. Reservations/info: Book via the website or by calling 888-226-7688. 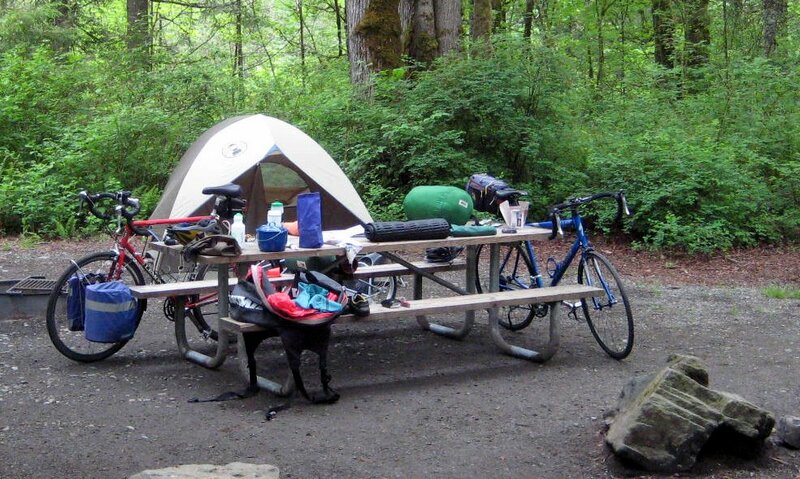 Just off highway 20 near Sedro Woolley, this wonderful camping park on the Skagit River offers hike-in/bike-in sites, RV sites, camping cabins, tent sites and group campsites. Kids will love circling the road on their bikes, exploring the hiking trails, digging in the sand by the river and completing the junior ranger programs. Parents will love the low-key feel, the shady, wooded sites and the chance to spot eagles feeding on the river. If pitching a tent in your backyard won’t satisfy the rug rats, there are more places to try beyond this starter list. Colonial Creek Campground, North Cascades National Park. On the shores of Diablo Lake, this awesome campground doesn’t accept reservations, which in the summer can be good news because it means you have just as much chance of snagging a weekend camping spot here as anyone else!," says a reader. Arrive before noon on a Thursday or Friday for the best chance at getting a spot for the weekend. Lake Sylvia State Park, Montesano: A camping park on Hood Canal with 15,000 feet of freshwater shoreline. Belfair State Park: A southern Hood Canal campground with shoreline wetlands and great beach walking and saltwater swimming. 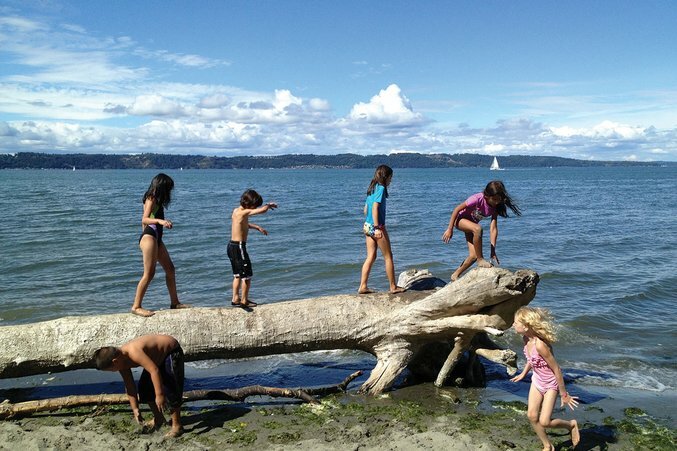 Penrose State Park, Lakebay: A 165-acre marine and camping park in Key Peninsula that families like for its shady campsites, waterfront picnic area and shallow swimming beach. Scenic Beach State Park, Seabeck: Just a half hour drive from Bremerton, and a couple of miles from cute Seabeck, Scenic Beach is as lovely as the name would suggest, with 1,500 feet of beach, shady campsites, a park with a gazebo, volleyball court, and wild rhodies (and free concerts on some Sundays in the summer). Dosewallips State Park: Another Hood Canal gem with both saltwater and freshwater shoreline on either side of the Dosewallips River. Manchester State Park, Port Orchard: A 111-acre camping park with 3,400 feet of saltwater shoreline on Rich Passage in Puget Sound. 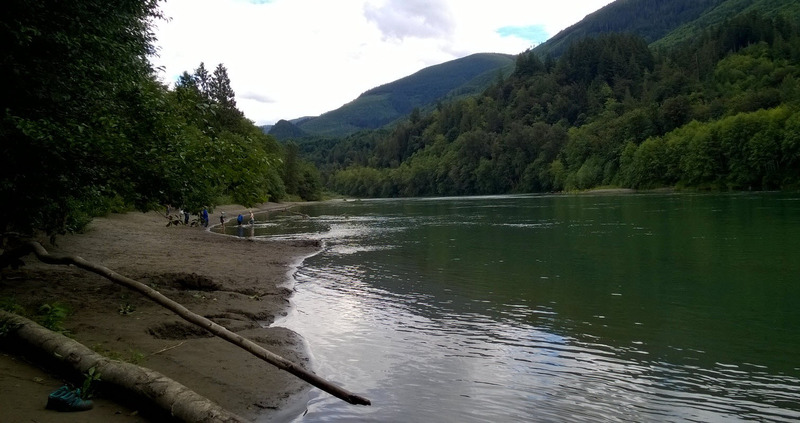 Silver Lake Park: A Whatcom County campground, "with a lovely lake for swimming (canoeing, paddle boats too), playground and short trails to explore," says a reader. Note: Alcoholic beverages are not allowed in county parks. Camp Long: Located in a forest in West Seattle, Camp Long is Seattle's only in-city campground, with 10 large and rustic cabins, ranger programs and many hiking and exploring opportunities. Definitely book ahead for this one. Seasoned campers make their reservations up to 9 months in advance for state campgrounds (six months for national parks) which means sometimes plans change and they have to cancel. Their over-scheduling is the procrastinator’s gain! As soon as you know you have a free weekend, use the handy State Park campground locator map. Choose the area of the state you want to go and click on anything green. Nothing available? Just try again tomorrow. Cancellations happen all the time so you might just get lucky and book a coveted spot. The national parks and federal lands reservations system isn’t quite as user friendly but if you type “Washington” into the search bar you’ll get a menu option to choose Washington campgrounds. Then pop in your dates and see what’s available. Next year put a reminder on your calendar to start making reservations in October to grab those prime spots. Happy camping! Editor's note: This article was updated for 2018.